Gardening, Herbs, Oils, and Medicine - Page 2 - The Chicken Coup - Chickensomething What Are You Afraid Of? Watch out for the garden sprites! Herbs and Spices for Culinary Uses - Thanksgiving is coming up. Check out these herbs for adding some spice to your feast this year. Orange peels can be used for many things around the house, in the kitchen, and in the medicine cabinet, and they have purposes as varied as dessert garnish, insect repellant, and skin pore cleanser. During the earliest days of orange cultivation, peels were often more prized than the fruit they protected due in large part to the essential oils they contain. These oils were used as a topical skin treatment, as a malady for indigestion, and as an additive in many different foods. Cooks during the Middle Ages were more likely to use dried peels as seasonings than they were to serve the fruit or the juice. Most scholars speculate that it wasn't until sweet oranges were introduced in Spain and Italy that the rest of the orange received much recognition as a food in its own right. Even today, there are perhaps more uses for orange peels and the oils they contain than there are for the rest of the fruit. A site on tips and features on growing your own food gardens. Learning to do these things and making habits to keep them all growing is a good thing economically. The source for information on growing your favorite vegetables, fruits, and herbs. Whether you're growing basil, blueberries, or bok choy, the Food Gardening Guide will give you all the information you need to succeed. Plus, we'll feature a vegetable, fruit, or herb monthly on this page with seasonal articles about that plant. This is a great idea when you have to leave your herb gardens unattended for a little while. Make Plants Water Themselves - Upcycling for Cheapo Winos! Fruits Range* blackberry, domestic low blackberry, wild high boysenberry med. choke cherry high wild crabapple high market cranberry low Swedish (lignon) cranberry high currant med. elderberry med. to high gooseberry. med. huckleberry med. loganberry med. mulberry med. quince med. raspberry med. Seeds Range* apple seeds high apricot seed high buckwheat med. cherry seed high flax med. millet med. nectarine seed high peach seed high pear seeds high plum seed high prune seed high squash seeds med. Sprouts Range* alfalfa med. bamboo high fava med. garbanzo med. mung med. 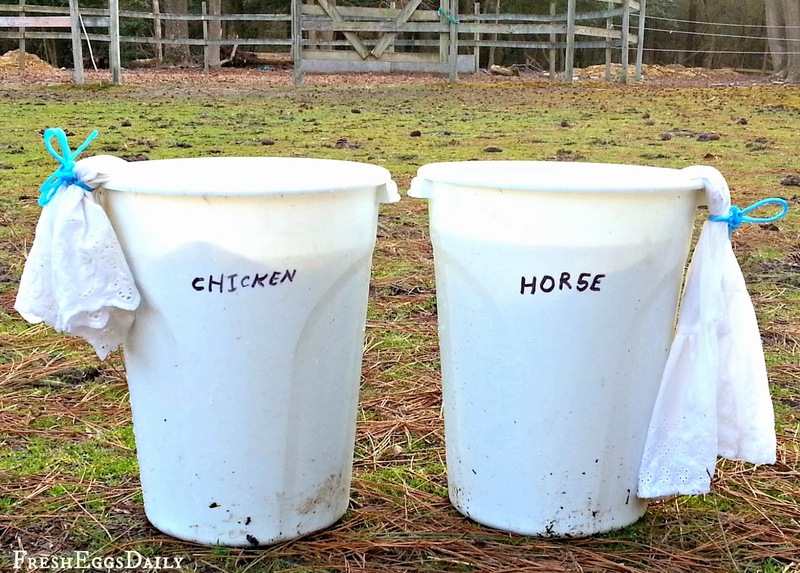 We use the Deep Litter Method of overwintering the coop bedding, which is an old-timer's method of composting the chicken manure all winter right in your coop. Then in the spring, you just clean it all out and add it to your compost pile. We also compost our horse manure, so when its time to prepare my vegetable garden, I have piles of composted soil at my disposal. The stench of a those LARGE chicken farms can be smelled for miles and miles around! Ever take a wiff of that high octane methane from those factory produced poultry farms? Horseshit and worms on the agenda today? This thread is starting to look really useful! Thank you. I've found some of the information useful. Oranges have all kinds of benefits! Cut a branch from an orange tree and use some rooting agent and plant a new tree. Spread them far and wide. This can be done with plums, apples, etc. What are Some Uses for Orange Peels?